This is a paid advertorial. Oh, Crumpler. Where do I start? I’ll start by saying that I like being different. I avoid the popular brands because everybody has them. That’s why I ended up with a Victorinox backpack instead of The North Face that every backpacker has on their backs. I tried resisting Crumpler, I really did. I saw them everywhere in Singapore in 2006, and in 2011, they’re everywhere in Manila too. It was in 2009 that I finally caved in. After toting my Nikon D40 (named The Todd) inside various bags, with only a snug banana hammok neoprene wrap for protection for more than a year, I decided to finally shell out the money for a proper camera bag. But which bag to buy? As much as I didn’t want to go with the obviously popular brand, I had to admit that Crumpler have the cutest camera bags that aren’t too cute, but not boring either. It helps that the bags also go with some fancy names: I had to smirk when I announced that I had just bought a Five Million Dollar Home. When I was asked to review the Crumpler Chinese New Year Limited Edition Rabbit Collection, it was very easy to say yes. I was familiar with the brand already, and after more than a year of using it, I can vouch for it. My Crumpler camera bag has been with me in my travels in Southeast Asia and around the Philippines, and it’s still as sturdy and solid it was on the day I bought it. I expected the same from the limited edition Hillman Hunter I was given to review. It’s with a certain irony that I am now the owner of the very same bag I saw being toted by every teenager in Singapore, but at the same time, I take pride that I’m holding a limited edition piece. It may be the same model, but not a lot of people will be walking around with the exact same bag. 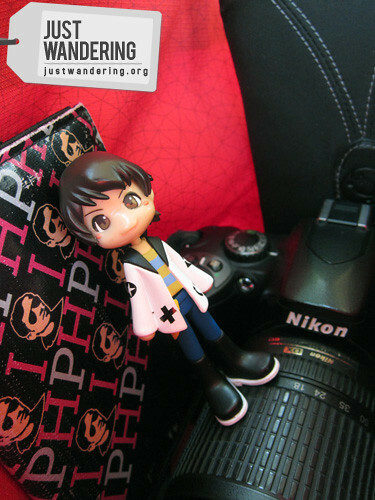 Yes, the bag can fit a Nikon D40 with a 18-135mm lens, but since the bag does not have any padding, it’s strongly advised that you wrap your DSLR in a thick padding/case and resist the urge to throw your bag around. Like every Crumpler bag, the Hillman Hunter is built tough. Crumpler does not scrimp on the materials used for any of their bags. The craftsmanship on each bag is apparent: no loose threads anywhere, Velcro staying where it should be and not tearing the bag’s material apart. Best of all, they’re waterproof. I’ve gotten caught in the rain with my Crumpler and have spilled Tequila Rose on them (don’t ask), and my camera remained dry inside. 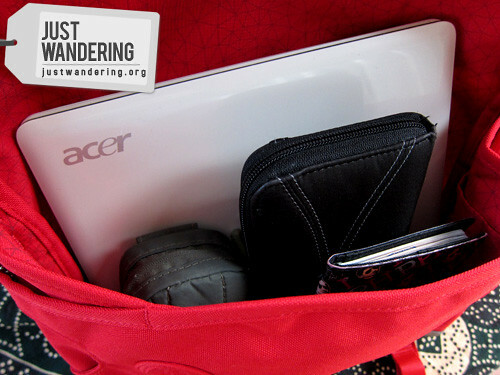 You can also tote your netbook inside the Hillman Hunter, but again, sheath it inside a neoprene case. Admittedly, the Hillman Hunter wasn’t my first choice among the Crumpler Chinese New Year Limited Edition Rabbit Collection pieces. With only a PDF file to base my choices on, it looked as though it was just a fanny pack. A peek at the Crumpler website showed that it’s not as tiny as I thought. True enough, when I started stuffing it with the things I usually bring with me, whether when I’m traveling or just wandering around the city, it proved to be roomy enough. 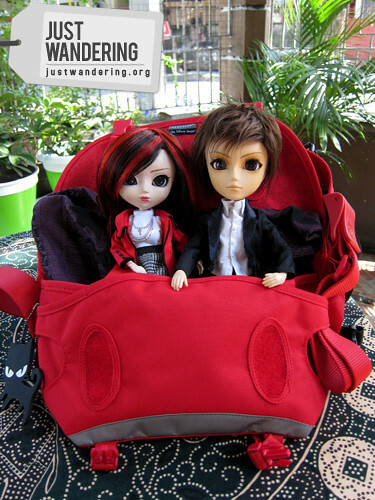 It’s a stretch, but you can fit a Pullip and a Taeyang inside, but not much else. While it doesn’t have a zippered compartment that I prefer to have in my bags, it does have two pockets securely fastened by Velcro to keep things secured. There are two other pockets for smaller things that ensures everything is within easy reach. The bag closes by either Velcro or with the pair of buckles. The bag fits snugly around the body, whether you wear it across your chest, draped around your back or loosely hanging around your hips. The Hillman Hunter is perfect for days when you just want to hang around the metro. Book, check. Wallet, check. Ipod and earbuds, check. Notebook, check. Pen, check. Pocket calculator Mobile phone, check. 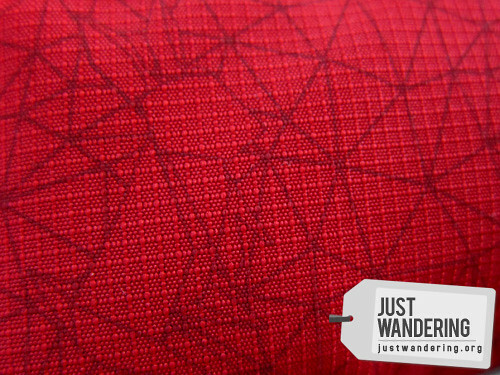 Like the other items in the Crumpler Chinese New Year Limited Edition Rabbit Collection, this Hillman Hunter comes in RED. Not red, but RED (in Filipino: PULAH). 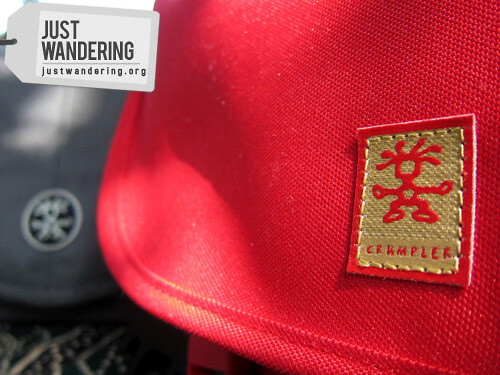 It’s accented with a gold Crumpler badge, which of course, is the colors of CNY. With the Hillman Hunter though, the monotony of all that RED is broken by the grey reflector at the bottom of the bag. 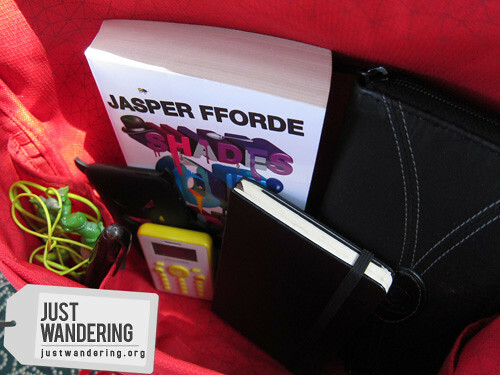 Crumpler stores can be found in Bonifacio High Street, Trinoma Mall, SM Megamall and Robinsons Manila. Ngayon ko nga lang din na-appreciate ang Hillman Hunter. Le sigh. was just about to get a 5MDH for an out-of-town trip — KOINKIDENK! 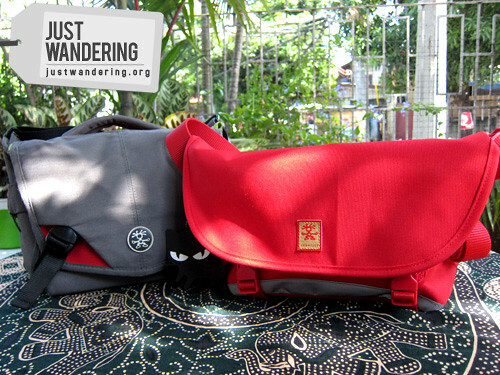 a 5 million bag for my nikon d40 when I go to HK this feb.
Crumpler! When kaya ako makapagreview ng mga bags? hehe. matibay talaga sa quality sila, no doubt about it. I love both bags. Masyado nga lang malaki si Seven Million Dollar Home ko for casual trips. it’s great that you can travel so much. very inspiring to read your travelogues. i’ll try to come by here more often and catch up. Who gets the basket of travel goodies?